New to the Market this June 2012, 72 Catlin Estates Road is a Home Perfect for Entertaining. There are locations and there are locations. 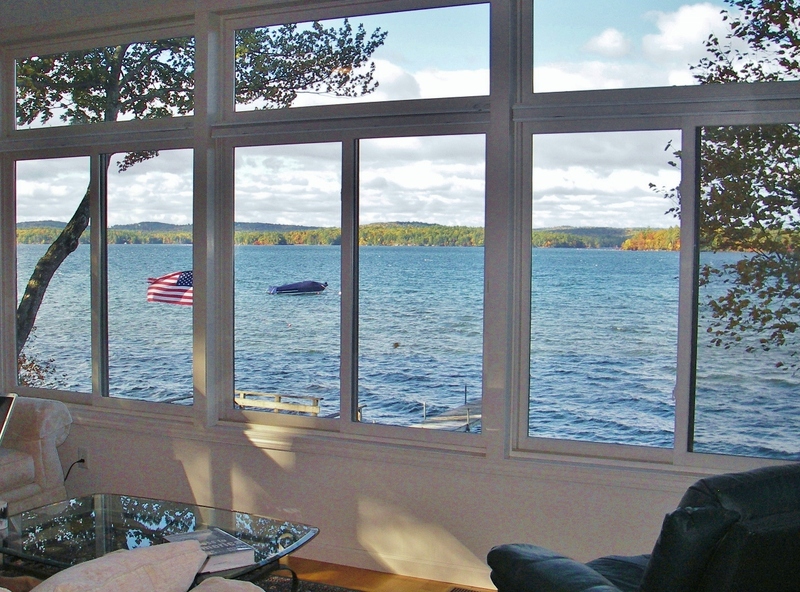 Moultonborough's Kona area is one of the most sought after locations on Winnipesaukee's 200 plus miles of shoreline. Nestled along the beautiful coves and beaches of Kona, 72 Catlin Estates, Moultonborough offers some of the longest and best lake views in Kona. The home was built by Wood and Clay Fine Homes, one of the foremost luxury builders on Winnipesaukee and in New Hampshire's Lakes Region. The windows of the Winnipesaukee home are expansive and take full advantage of the panoramic lake and mountain views. The 9' ceilings, hardwood floors and open concept floor plan on the main level bring in light and create a relaxed, yet elegant ambiance. The family room on the main level opens to an enclosed porch and then to the deck. The 9 room home, as well as the deck and crib dock at water's edge are all great spots to enjoy the westerly exposure, sunsets and the lake, island, and mountain views. The three upstairs bedrooms are spacious and sun-filled. One bedroom even has its own deck. This lakeside lot is landscaped for privacy. Large rhododendron bushes and large pine trees , as well as careful siting of the home, keep it protected from any passers by on this quiet road. A 3 car garage could be built on the lot subject to town and state permits. The .5 +/- back lot included in this offering assures additional privacy. The two downstairs rooms are perfect for games rooms or overflow guests. With beautiful gardens and walkways, tall pines for privacy, this home offers an opportunity to offer your own piece of paradise on Kona's shoreline. Listed by me, Nicole Watkins. Call me for a private tour. (603) 707-7575. Winnipesaukee property in this price range is hard to find!